Rocco credited this to Grez at Kings Avenue Tattoo. He did this out on Long Island in the Massapequa shop, but now works out of their Manhattan shop on the Bowery. Grez's work has been seen several times before on Tattoosday, including most recently here and here. You can also clcik on "Grez" in the tags at the bottom of the post to see more of his work that's been on the site. Thanks to Rocco for sharing this great tattoo with us here on Tattoosday! Back in June, I met Cristine out on Coney Island, during the Mermaid Parade. This was done by Miss D'Jo at Lark Tattoo in Westbury, New York. We've been lucky enough to have shared work by Miss D'Jo previously on Tattoosday here and here. Thanks to Cristine for sharing this cool tattoo with us here on Tattoosday! It has been a little while since we checked in with the good people at Vice and enjoyed one of their Tattoo Age documentaries. Earlier this week, they dropped the first part of their five(! )-part series on Thom DeVita. I'm looking forward to more on the DeVita series in weeks to come! Shana explained that this is a navel orange from a botanical etching dating back to the 1700's. He explained that he found the illustration in a botanical text book. Shana further elaborated by explaining that she associates oranges with times that she felt calm and safe and that, among the "thirteen-ish" tattoos, many are different versions of oranges and orange blossoms. Furthermore, Shana identifies as a transgender individual, and he intimated that the oranges and accompanying blossoms balance out the masculine elements in his appearance. This was inked by Jason McAfee at Temple Tattoo in Oakland, California. "Her visual art has been shown at The New York Center for Book Arts and Southern Exposure and is in the collections of the Walker Art Center and the University of California, Irvine, University of California, Berkeley, and University of Southern California libraries’ special collections. His essays have appeared in Flow Magazine (flowtv.org) and Clamor Magazine, and she contributed a chapter addressing the role of the prison industrial complex in Hurricane Katrina inThrough the Eye of Katrina: Social Justice in the United States, published by Carolina Academic Press. [Shana] has given talks on transgender representation and deconstructing “hate crime” in queer politics at the Center for Lesbian and Gay Studies at the City University of New York, Yale University, and Oberlin College. She is also a long-time member of Critical Resistance, a grassroots organization fighting the use of the prison industrial complex to address social problems." 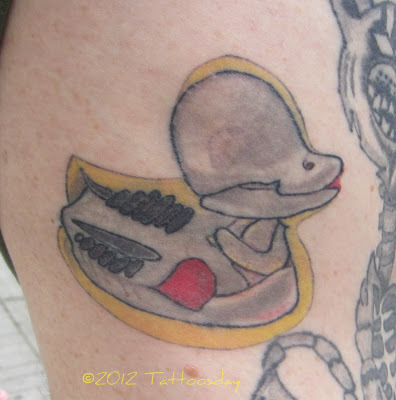 Thanks to Shana for sharing this fascinating tattoo with us here on Tattoosday! Back in August, I met Sarah on the West 4th Street subway platform in Manhattan. Sarah told me that she drew this up herself and that a freelance artist in Vermont named Jonas Fricke tattooed her. Thanks to Sarah for sharing this cool tattoo, which I have dubbed a "thighmond," here on Tattoosday! I met Sean back in June at the 5th Avenue Street Fair in Bay Ridge, Brooklyn. The tattoo on his ribs commemorates how Sean proposed to his wife Linda. Sean explained, "I tied a ring with a ribbon around the neck of the ducky ... she thought I was running a bubble bath for her and I dropped the rubber ducky with the ring in the bathtub." And why is it a skeleton duck? 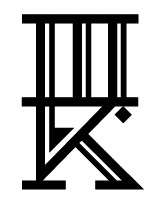 It represents "the depth of our relationship ... down to the bones...". This happy couple met online. Sean is from Alberta, Canada, and they had a long-distance relationship for three years. He commemorated the proposal with this tattoo he had done by an artist in Alberta. Thanks to Sean for sharing this cool tattoo with us here on Tattoosday! Re-Post: Happy Birthday, Mr. Vonnegut! Social media reminds me that today would be Kurt Vonnegut's 90th birthday. 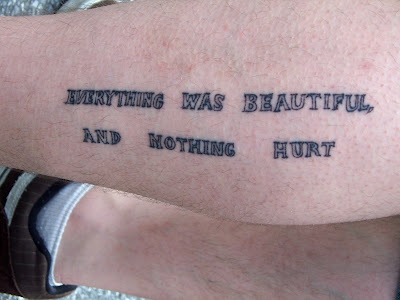 It's also Veteran's Day and, since Vonnegut wrote one of the great war novels of all time, Slaughterhouse Five, it seemed appropriate to re-post this classic Vonnegut tattoo. 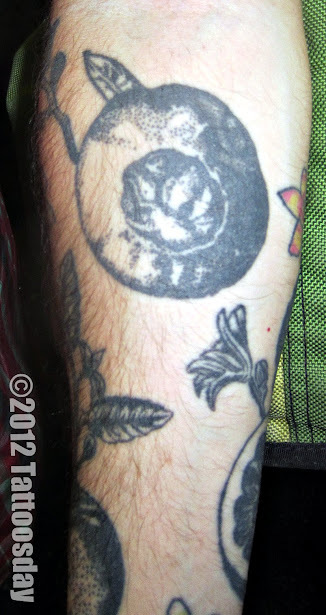 You can see all of the Vonnegut tattoos that have appeared on Tattoosday here. At the Seventh Avenue Street Fair in Park Slope on Sunday, there was plenty of ink. 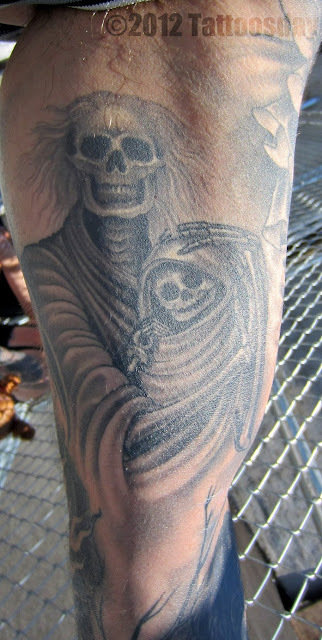 Amazing ink too. But I only stopped one person, Samantha. Samantha had this simple quote from the late Kurt Vonnegut on her back. This simple refrain (used 106 times in Slaughterhouse-Five, according to Wikipedia), came to be synonymous with the Vonnegut philosophy. My epitaph in any case? "Everything was beautiful. Nothing hurt." I will have gotten off so light, whatever the heck it is that was going on. Thanks to Samantha and Igor for sharing their Vonnegutian ink here on Tattoosday! 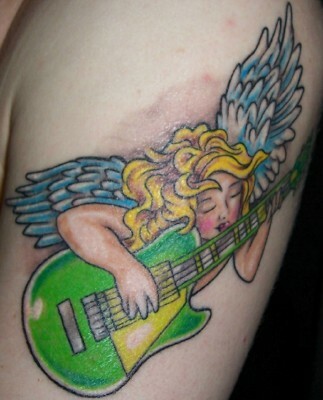 This entry is ©2008, 2012 Tattoosday. Preview: Thom DeVita on Vice's Tattoo Age Coming Soon! Vice has released a trailer for their third installment of this, their second season of Tattoo Age. This looks to be a different episode than those that have aired in the past. We are told this is a longer feature broken up into five parts (rather than the normal three). "[It's] the epic story of Thom DeVita through a series of "inter-visits." We find out about how Thom began tattooing in New York City in the late 60s when the practice was illegal, and hear from Don Ed Hardy, Nick Bubash, Scott Harrison, John Wyatt, Angelo Scotto, Bubba Reeves, and Robert Ryan, among others. This will be one of the more in-depth documentaries released by Tattoo Age and VICE as a whole." The only bad thing is we have to wait until November 21st for the first installment. We'll post here on Tattoosday when part 1 goes live. This post is ©2012 Tattoosday. Tattoosday Celebrates Day of the Dead. Meow. This tattoo belongs to Lisa, who I spotted last month during the Tour de Bronx. I passed her right before we reached the rest stop at Clason Point. The break in the ride allowed me to talk to her about her tattoos and she offered up the one above. I've seen a lot of sugar skull tattoos, but never a cat sugar skull. Lisa credited her friend Shroomy, who tattoos out of his garage in California. You can see some other Day of the Dead ink that has appeared previously on Tattoosday here. 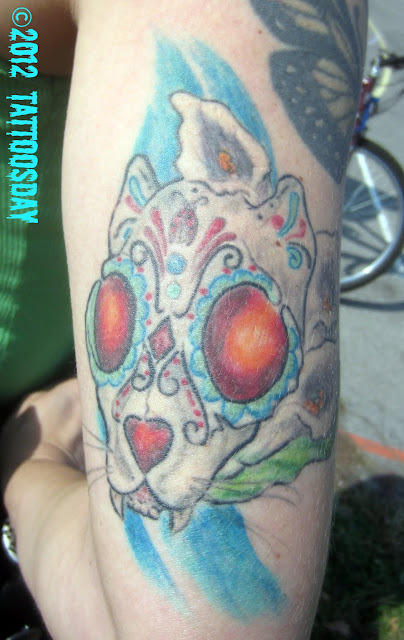 Thanks to Lisa for sharing this cool tattoo with us here on Tattoosday and helping us celebrate the Day of the Dead!